When a coronary artery is over 70% blocked, its treatment usually involves catheterization and the placement of vascular stents. For complex lesions, a complex percutaneous coronary intervention is required which has a lower success rate, and higher complication and death rate than a regular catheterization procedure. Consequently, pathologies which are too complex are mainly treated with bypass surgery. However, at the Chi Mei Hospital, Liouying, located in the south of Taiwan, the catheterization patients who come from rural areas often refuse bypass surgeries. The hospital has no choice but to perform a complex percutaneous intervention to the best of their ability to save their patients. At Chi Mei Hospital, Liouying, the complex percutaneous coronary intervention involves traditional cardiac catheterization combined with an intravascular imaging system such as intravascular ultrasound (IVUS) or optical coherence tomography (OCT), where the lesion is observed directly from within the blood vessel. Since IVUS can magnify the lesion by 10 to 15 times, and OCT by 100 to 100 times, the imaging systems can greatly improve the surgery outcome. Studies have shown that the appropriate use of IVUS during coronary artery intervention can reduce stent restenosis by 10 to 30%, although such methods are not yet prevalent in Taiwan, Europe, or the Americas, with a usage rate of less than 10% of all catheterizations. 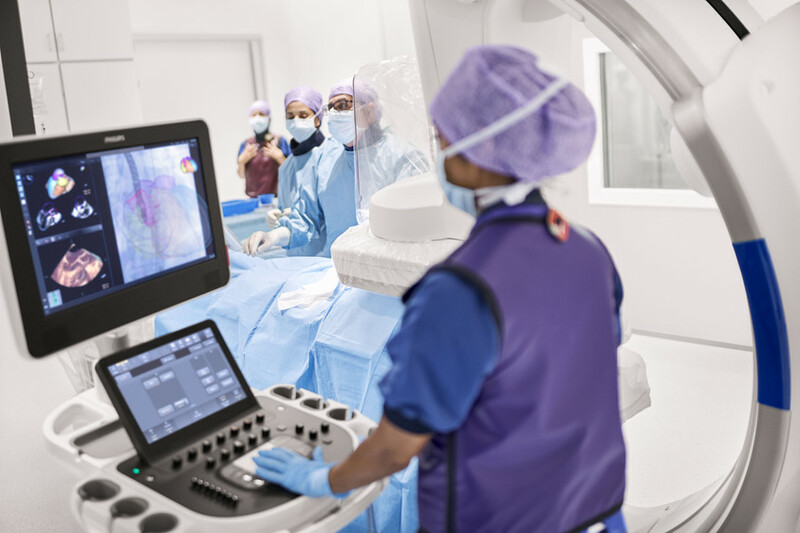 This is due to the fact that intravascular imaging systems require extensive training before one can accurately operate the system and interpret the results. However, in nearby Japan, the average usage rate is over 80%, which is why the director of the Cardiovascular Center at Chi Mei Hospital, Liouying, Po-Ming Ku, went to Japan for training in complex percutaneous coronary intervention, IVUS, and OCT. Ku is currently the only OCT lecturer in Taiwan with certification from Japan and a lecturer in intravascular imaging systems well-known around the world. In 2015, he led the cardiovascular team at Chi Mei Hospital, Liouying to perform the complex percutaneous coronary intervention with intravascular imaging systems more extensively, resulting in excellent success rate and long-term prognosis. Since the public is in general apprehensive about the risks of surgery, Chi Mei Hospital, Liouying, is also dedicated to developing technology that can replace or even surpass surgeries. Ku combined OCT and intravascular ultrasound (IVUS) with the existing high-end dual-monitor vascular imaging system to increase the resolution of the images in the depth of the cardiovasculature by 100 times through effective integration of the technologies. As a result, doctors can accurately determine the state of the lesion during a complex percutaneous coronary intervention and can customize a treatment plan for the patient. In addition to buying extra time for treatment, it can improve the effectiveness of the coronary stent placement, including a significantly lowered death rate due to cardiovascular diseases. The procedure is gradually replacing the traditional bypass surgery and improving the willingness of the patient to receive treatment. As a regional hospital, Chi Mei Hospital, Liouying has introduced intravascular imaging systems to its complex percutaneous coronary intervention procedure. The team works well together, integrates resources and has excellent quality control mechanisms in place. The team's excellent clinical performance was awarded the Symbol of National Quality last year and will continue to improve the quality of coronary artery health care.